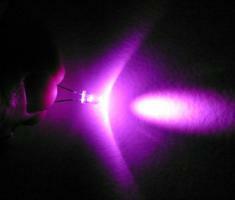 Here is a sneek peak at my latest LED hoop. The LEDs are synchronized so they change colors at the same time. This was just a test model with 11 LEDs. This is the base model feature. I have a few other cool features I plan to release on a later date. This hoop isn’t for sale just yet. I’m running a few more tests. 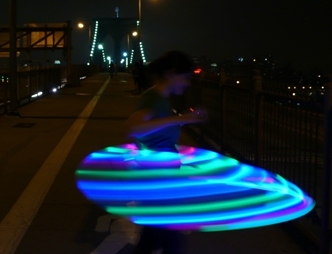 i’m a beginner at hooping, and i’ve been looking for this kind of hoop for a few months now. i was starting to think it didn’t exist. i hate how most color-changing LED hoops are unsynced… they just look too overwhelming to me. great job on this! i’m so excited, and will definitely buy if they go up for sale. So, are you ready to share your method yet? This is awesome. been waiting like 9 months for this, hope your getting close to selling it. Looks awsome.